Proact Brandcomm, a marketing and communications consulting firm has announced its entry in the United States of America with a presence in Boston city in the state of Massachusetts. Proact has clients across technology, financial services, infrastructure and lifestyle. It has worked with financial services giant Aditya Birla Capital, India's leading asset management company ICICI Prudential Mutual Fund, some of the leading FinTech startups like BigDecisions-a NewsCorp owned brand, Asia's largest healthcare focussed private equity firm, Quadria Capital, Finance Buddha and Lenddo, technology firms like Dreamorbit and Leadsquared, and launched and managed prestigious Smart Cities Council in India among several other marquee names. "A foray into America was the next logical step for us. The discussions with some of our prospective clients based in New York and Boston have been quite exciting. It also allows us to monetise our market research, marketing communications, branded content and image consulting capabilities. A separate entity in the US is being formed with the same brand name," said Ritu Kant Ojha, founder and CEO. 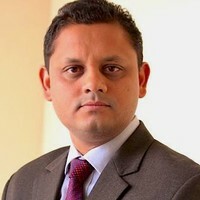 A former business journalist and columnist, Ojha has worked with CNBC TV18, Bloomberg TV, The Indian Express and StarNews (now ABP News) for over 12 years before turning entrepreneur. The entrepreneurial journey was not easy, he says." It all started with one client and a single employee and for the next 12 months, we had no other client. The second client came along only in the 13th month and third client in the 18th month. It was a tough time. However, as the word spread about our services, referrals started coming in and by the end of 24 months we had 15 clients and had crossed 25 clients with revenues of rupees one crore, by 3rd year." Rajiv Jamkhedkar, former MD & CEO of AEGON Religare Life Insurance & co-founder of Serengeti Ventures wishing good luck said, "Proact team has been working closely with us for the last 3 years. Instead of just mundane press releases, quotes and bytes in media, they engaged with us on a business consulting level. Connecting the dots across marketing, public relations and content is not an easy task and entails tons of hard work in understanding a client's business. We at Serengeti Ventures wish Proact many more milestones". One of the strategic partners of Proact, Philippe Racine, a serial tech entrepreneur and founder of Montreal based AI-powered marketing intelligence firm Texteur said, "Proact has been our trusted partner in India. We would extend all support to their local team." Congratulating Proact Brandcomm over the expansion, Sunil Thakur, MD, Quadria Capital - Asia's leading healthcare focussed private equity fund said, "Healthcare industry is diverse, complex and in most markets highly specialised. The best part about the Proact team is its willingness to get into the details and ability to understand the intricacies of the sector."